You’ve travelled to your holiday destination. You’re tired, hungry and desperate for a shower. But first, you need to settle into your accommodation and have a nice cup of tea. 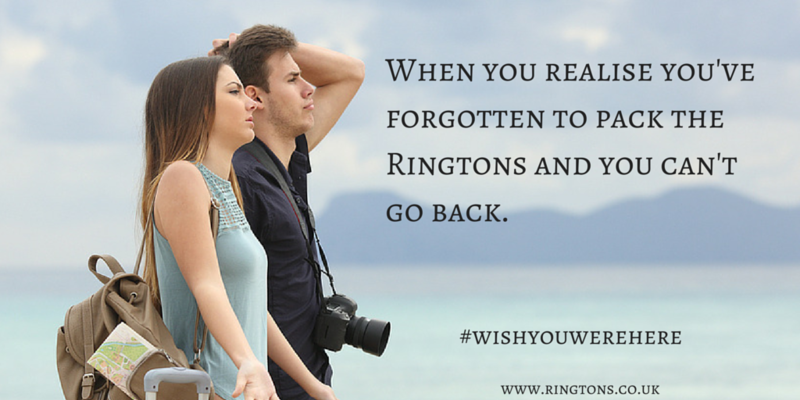 If you’re lucky, Ringtons will be supplied for you. If not…..Well, you’ll be bitterly disappointed at best. Your holiday will take on that sludge coloured tone and it’ll be marred by the days of flavourless tea that lie ahead. Be prepared. Stock up before you go. Then you can enjoy your holiday without the burden of a bad cuppa. Make sure you have everything you need with our handy holiday check-list. Now for the chance to win some Ringtons goodies. 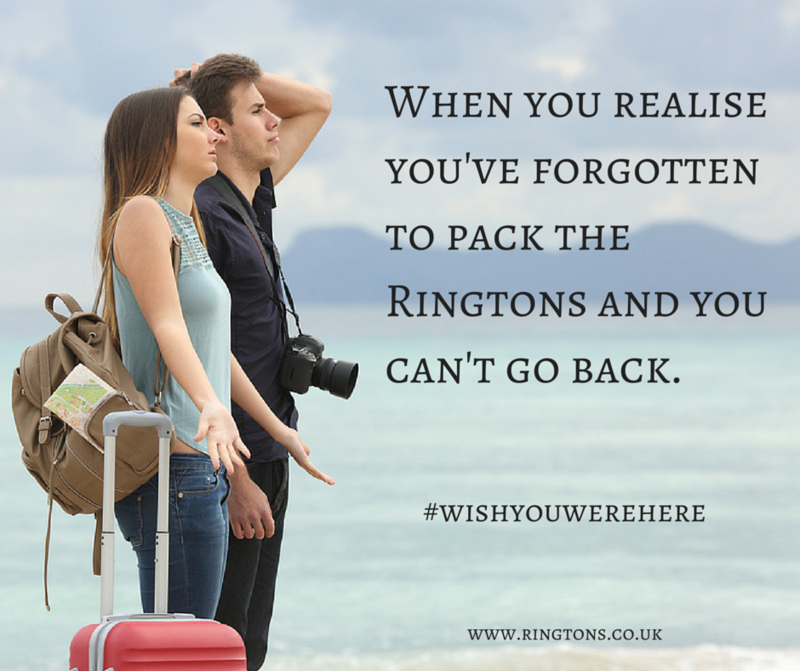 Tag us with a photo of your tea on holiday and #wishyouwerehere to win a “welcome home” pack containing tea, coffee and biscuits. Winners will be picked every 2 weeks throughout July and August. Simples!